The Funkel Dunkel Munich Lager returns to the Blue Tractor BBQ & Brewery, 205 E. Washington, Ann Arbor. It’s officially the first week of autumn, the second week of Oktoberfest, the third week of school, and the fourth week of college football. And every week is the Week in Beer, and this one’s no exception. Have a look-see at what’s on tap around the area. >> It’s Oktoberfest, Wolverine style, at the tap room at 2019 W. Stadium, Ann Arbor. If, like me, you’ve been looking for a much more authentic style German marzen bier to put that tingle in your lederhosen, then you’ll want to check out Wolverine’s Oktoberfest, which has been lagering properly since March (hence the origin of the name marzen). Also releasing today is the next beer in the “Liquid Soundtrack” series of small-batch beers made by guest brewers, a Czech Pilsner. And to go with that delicious beer, Ray’s Red Hots will be there slinging the franks and brats. >> The Corner Brewery, 720 Norris, Ypsilanti, offers its take on the Oktoberfest tradition beginning at 6 p.m. with Bavarian-style eating, drinking, music, and dancing under the tent in the beer garden, rain or shine. Don't put away that lederhosen just yet. No cover. >> In downtown Saline, the two-day “Harvest of the Arts” begins with an Oktoberfest beer tent from 5-11 p.m. with German and local food, beer and wine, and live music from Polka Riot and the Frankenmuth Schuhplattler. Proceeds benefit the Saline Historic Downtown Alliance. >> The venerable Ann Arbor institution Metzger’s German Restaurant, 305 N. Zeeb, again does Oktoberfest as only it can, with live polka music, German beer, and a sumptuous German buffet outside, rain or shine, in its beer tent from 6 p.m. to midnight. Call 734-668-8987 for more info. Don’t miss this annual tradition! >> The recently opened Adventures in Homebrewing store located at 6071 Jackson Rd. in Scio Township is hosting its grand opening event from 10 a.m. to 5 p.m., including an open house tour and brewing demonstrations from homebrewing clubs the Ann Arbor Brewers Guild and the Motor City Mashers. Come see why the hobby of homebrewing is exploding in popularity (hint: it’s a whole lot of fun!). 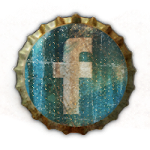 Follow “Adventures in Homebrewing” on Facebook for the latest and greatest, and read a couple recent articles on the store here and here. >> Drop by the Corner Brewery beer garden from 2-5 p.m. for a fundraiser for GreytHounds of Eastern Michigan (GEM), which finds loving, adoptive homes for retired greyhound racing dogs. $1 from the sale of every mug or growl-er (get it?) of the special batch of Dog Daze Ale goes to support GEM’s mission, as does $25 for every new Mug Club membership. Enjoy the Dog Daze Pizza of the Day, pick up homemade doggie treats, and mix and mingle with other canine lovers. Unfortunately, however, you will have to leave Spot at home. For more info on GEM, visit gemgreyhounds.org. There are some good beers coming up at Blue Tractor BBQ & Brewery, 205 E. Washington, including Punky’s Monkee Belgian Rye PA, Funkel Dunkel Munich Lager, and the famous Schakolad Weizen Chocolate Wheat Ale. All three are quite good and worthy of your taste buds, especially during BT’s outstanding half-off happy hour. Arbor Brewing, 114 E. Washington, is now offering Take Away Tuesdays, where you can get growlers filled for half price and six-packs for $1 off. Good deal. Biologist and homebrewer Chris Martinson is hoping to sign a lease by the end of the month on a space for his Chelsea Alehouse Brewery on Main St. in Chelsea, with the goal of opening for business by summer 2012. “Chelsea is a great community and there is room for more growth. 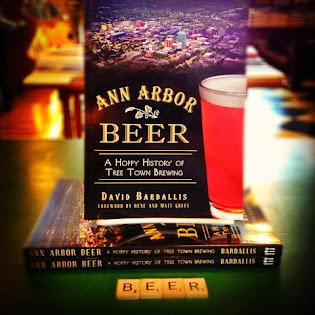 A brewery fits really well with what’s happening in the city,” Martinson told AnnArbor.com business reporter Lizzy Alfs in a recent story. 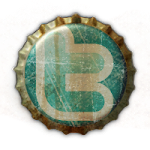 Follow the Alehouse's progress on Facebook and Twitter. Self-proclaimed “beer geek” Jon Cole hosted the first meeting of a new homebrewing club up in Howell at the Shark Club, 1140 S. Michigan. If you missed it but are interested in joining or learning more, contact him at beergeekhowell@gmail.com. Planning ahead, September 30 is the Whitmore Lake Beer and Wine Taste Fest, 7-10 p.m., at The Links at Whitmore Lake, 1111 6 Mile Rd. Tickets: $25 in advance; call Nancy at 734-368-1629, Dennis at 734-368-1668, or Patti at 734-678-5679.